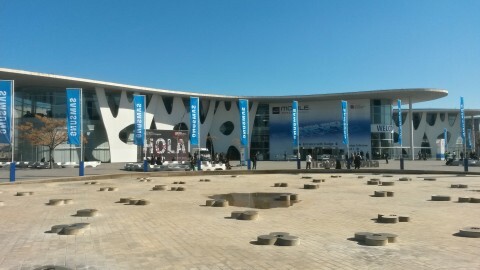 Mobile World Congress 2014, sunny Barcelona, 24-27 February, saw the biggest names and brands in the mobile technologies industry come together to exhibit their wares and announce what the future holds for us. 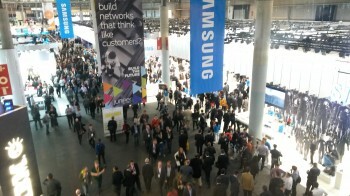 From handsets to clouds, memory chips to mobile operators, everyone was there. Including ViewRanger! ViewRanger was one of just five companies carefully chosen to represent the best of British innovative mobile technology - and so were featured on the UK government's Trade & Investment stand. So off we went! Craig, Ben and Emily from the ViewRanger team were there for the duration, introducing our app to the world. Ben, one of our Sales execs, spent his days combing the eight massive halls for the very latest and most quirky advances in technology. It seems that water and dust proof devices are an emerging trend in the industry, which is great news for consumers. Samsung announced their new flagship device, the Samsung Galaxy S5, which incorporates some interesting new features such as a heart rate sensor; a finger scanner which can be used to unlock the device or make mobile payments via PayPal; HDR video (a mobile first); download booster this works via LTE and Wifi simultaneously to dramatically increasing download speeds. The S5 is also IP67 certified (which means dust and water resistant!). As usual, the latest device comes with a faster processor, up to 2.5GHz from 1.9GHz, and power saving has also been enhanced. 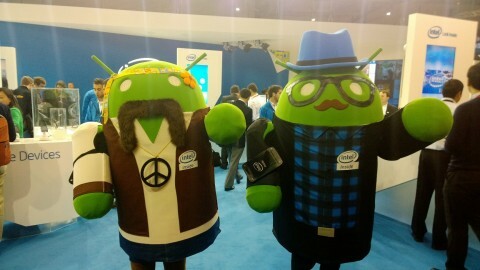 Nokia, possibly controversially, announced a new device line running Android. 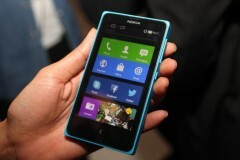 The Nokia X line (X, X+ & XL) was created with emerging markets in mind, so the company has kept prices as low as possible. The home screen resembles that of Nokia's Windows-based Lumia phones, but it's Android underneath and all of the devices are dual SIM. It's was great to see Kyocera's line of ruggedised phones, especially their android based Torque which meets military standards for dust, water immersion, vibration and extreme temperatures, it also features tissue conducting technology allowing you to hear a call whatever the conditions, even with a full face helmet on. 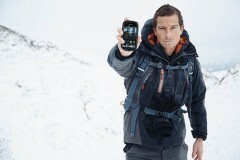 If your a keen outdoor enthusiast and want a near indestructible phone then this is the one for you. 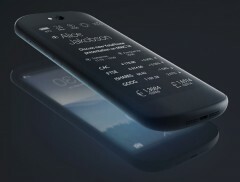 The Moscow-based Yota Phone announced their second generation device. It's essentially much curvier than it's predecessor and feels much nicer to hold. Ultimately, this is an android phone that combines a 1080p AMOLED screen and an e-ink reader display. As cool as a dual-display phone sounds, there are only a handful of practical uses for it, reading e-books, scrolling through your Instapaper feed, and, perhaps, using the e-ink display when your battery is running out. 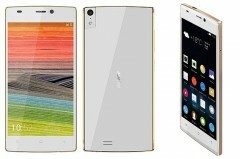 Gionee, a Chinese phone maker, had this rather beautiful 5.5-millimeter-thick smartphone (the world’s thinnest) on display. 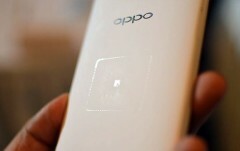 Oppo, were showcasing their lead device, the N1, which features a 12 cm2 touch panel on the rear of the device which makes one-handed use for the large screen much easier, as you can scroll, tap, or snap to take photos. 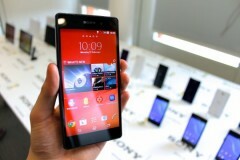 Sony also unveiled their flagship phone, the Xperia Z2, the main improvements being 4K video recording, video stabilisation technology, increased battery capacity, and a slightly better front facing camera. 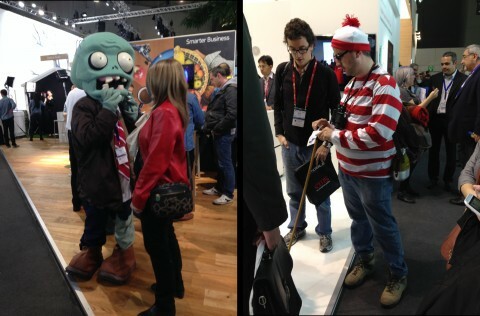 Wearable devices were certainly the hot topic at MWC this year. Pretty much every handset manufacturer at the event announced some kind of smartwatch or other wearable device. Without a doubt one of the most exciting wearable devices at the event was the Samsung Gear Fit, featuring the first curved AMOLED display on a wearable device. It is also water and dust proof. Sony Smartwatch 2 in a variety of colours. FitBit, Alcatel, Sony and many other companies were also showcasing fitness bands. 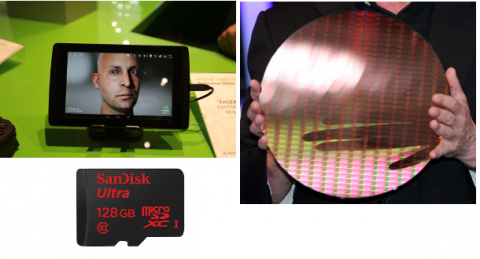 There was a lot of cool tech for geeks at Mobile World Congress, such as Sandisks 128GB memory SD card, Nvidia’s new K1 SoC (running the Faceworks demo), and a 22nm Intel silicon wafer. Connected cars with 4G LTE support and large touch screens also made an appearance at the show. 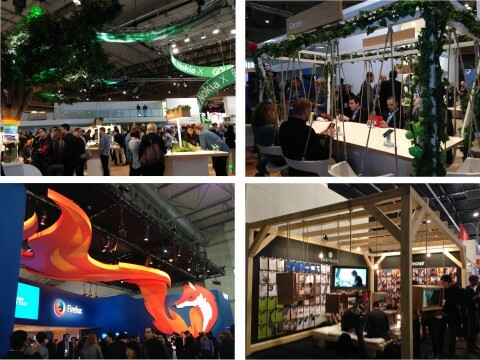 We are very grateful to UK Trade & Investment for inviting us to showvase ViewRanger on their stand, designing our pod, and looking after us in the day-to-day of the event. The conversations we had there and the connections we made, will no doubt serve us very well in the months to come.